I hope everyone had a nice Labor Day! It was a beautiful day here! So...I spent the time indoors with some crafty friends! ha! Tag You're It Challenge, I was inspired to play along! That big flower is from the Handwritten Floral Greetings stamp set that I received in my July card kit from Simon Says Stamps. 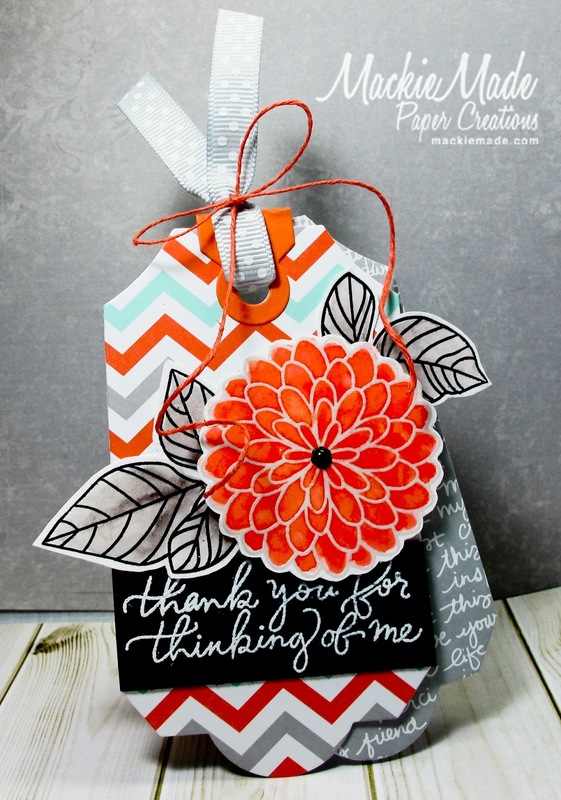 I stamped and heat embossed the bloom with white embossing powder and then colored it with my Zig Clean Colors brush pens. The fun papers are from Stampin Up. BEAUTIFULLY done Mackie!! Love the colors! Wow Mackie, this is amazing! I love all your wonderful layers and fun fallish colors! Thanks for joining us at Tag You’re It ! 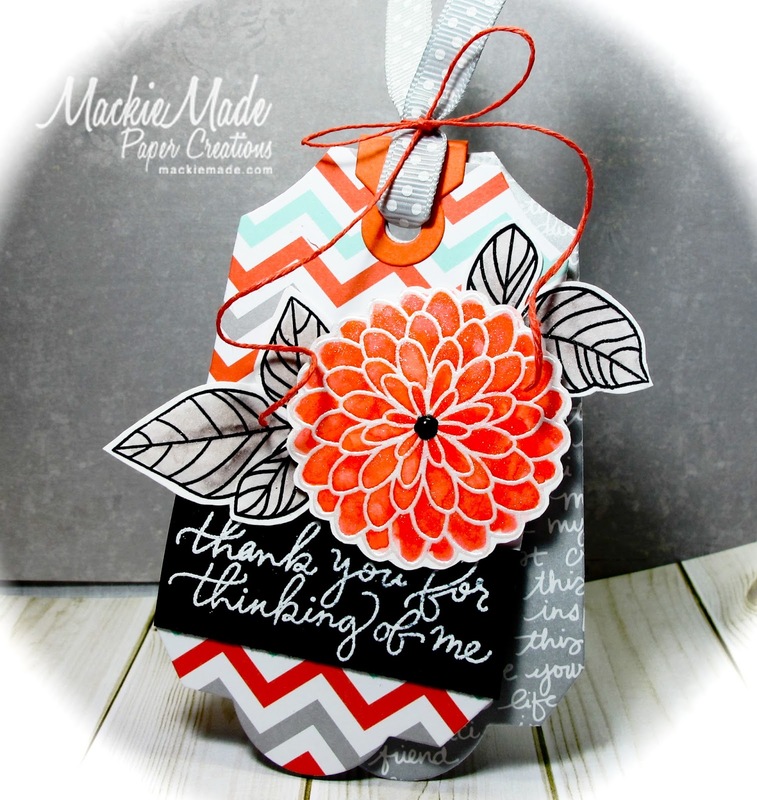 Gorgeous tag Mackie! The colours and patterns are really striking. OMGosh this is FABULOUS! LOVE the big Beautiful bloom with those papers and that sentiment! WOW! 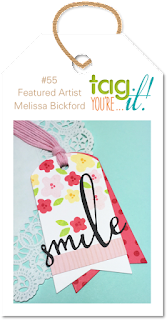 WoW gorgeous such vibrant colors and great design.Thanks for joining us over at Tag You're It. Beautiful job, I love the coloring, many thank for joining us at Tag You're It Challenge. WOW! 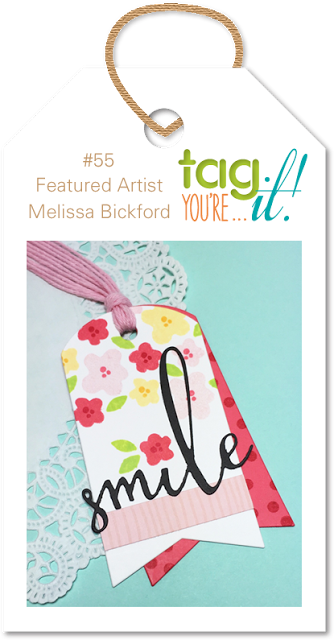 The bold flower, the colour combination, the sentiment...this tag is a gift in and of itself! Stunning! So glad you joined the Tag! You're It gallery!